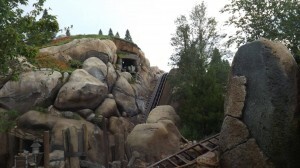 Have You Been On The New Seven Dwarfs Mine Train Roller Coaster Ride in Walt Disney World, Orlando Florida? I recently had the opportunity to visit theMagic Kingdom in Walt Disney Worldin Lake Buena Vista Florida, near Orlando. If you have not been to the Magic Kingdom, or it has been years, it is time to come back and see the amazing changes that Disney World has made. I always loved visiting the Magic Kingdom but honestly after so many years of taking the boys there for the annual vacation, it got a little old and the excitement wore off just a bit. The exciting changes at the Magic Kingdom are in the New Fantasyland and they are definitely worth a trip to visit. 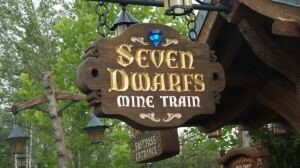 Fantasyland in the Magic Kingdom at Walt Disney World includes a new ride called the “Seven Dwarfs Mine Train” that is very popular. roller coaster. Disney has called this ride the “family coaster” which make me assume that it was a leisurely ride with the whole family. Not so! Apparently I am getting much older because I was white knuckling it for this ride. As far as roller coasters go, this is certainly on the mild side and others have described it as “smooth”. Regardless, I got off the Seven Dwarfs Mine Train ride convinced I would never ride it again. Considering I am not a fan of roller coasters in general and that I pretty much refused to open my eyes the entire time and was praying “please Lord let me get through this”, you can pretty much be sure I am a wimp when it comes to rides like this. In Disney’s defense, this is an awesome ride and everyone else seemed to be smiling and thrilled with the ride. As long as you are a fan of roller coasters or a ride with sharp turns and drops, you will love it. We were able to quickly ride with a limited wait thanks to the new FastPass+ systemwhere you can book your ride up to 30 days in advance online. The key is to buy your tickets in advance. So worth it! We hardly waited in any line in the park so worth learning about the FastPass+ process. Disney has also invested in a new MagicBand system that make things so much easier. You simply scan your Magic Band to access the rides where you have planned the FastPass+. When you plan your trip ahead of time, you will actually receive a personalized MagicBand direct to your home for free. On the inside of the band, your first name will be listed. Pretty cool if you ask me. You even get to pick the color. chocolate products for a living. If you are looking for an easy way to get the antioxidants you need to stay healthy, consider incorporating XO healthy chocolate products into your diet. We also have an amazing chocolate protein shake that was featured on the cover of the Bariatrician, the American Journal of Bariatric Medicine along with the successful diet study where the average participant lost 31 pounds in just 12 weeks the healthy way. Even I am losing weight eating this chocolate so it is worth a second look. My family and I started enjoying XO dark chocolate over four years ago and it was honestly the best decision we ever made. Plus it may be hard to get your kids to eat their fruit and veggies, but honestly getting them to eat healthy dark chocolate has been a breeze which was especially important for my autistic son who was a poor eater. Feel free to call me at 941-216-5727 or visit my website at MyChocolateVitamins.com. This is also a great home based business for anyone including stay at home mom’s and dad’s and those looking to earn income into retirement. 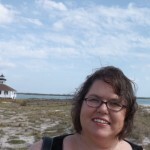 Why Are Punta Gorda Home Businesses Booming?